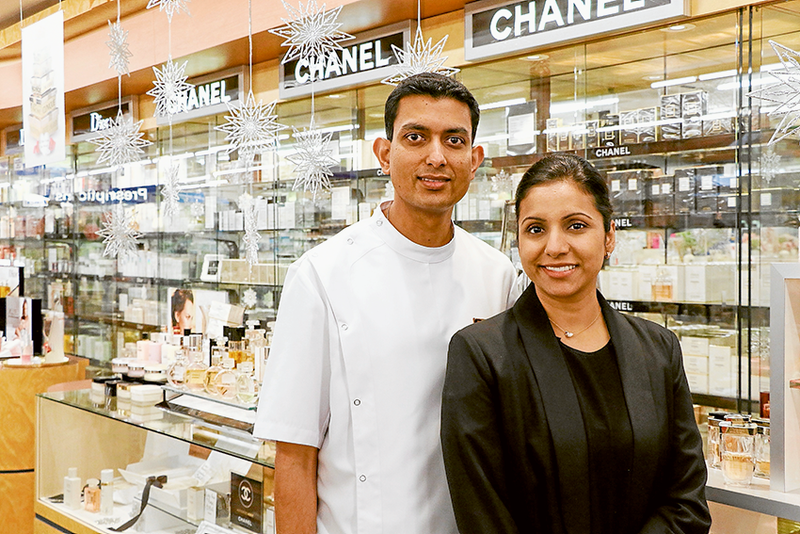 NEW STAFF, SAME GREAT SERVICE… John Anderson Pharmacy owner, Melvin Deo and general manager, Archana Deo are thriving in their new roles and are excited for the festive season. Photo: Katelyn Morse. IT’S business as usual at John Anderson Pharmacy, with proud new owners Melvin and Archana Deo excitedly assisting customers with the exceptional products and expert service the store has become renowned for. 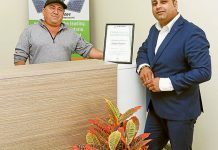 Following seven years of living in Shepparton, the Deo family are thoroughly enjoying the work so far and look forward to their new venture as owners. In-store, Christmas is in full bloom with an exhilarating assortment of gifts available, including plush toys, fragrances, infusers, bags, gift sets, make-up and much more. John Anderson Pharmacy is the only authorised stockist in the Goulburn Valley of leading cosmetic and fragrance brands and Christmas favourites, Chanel, Clinique, Estée Lauder, Lancome and Shiseido products. General manager, Archana Deo said, “We can also customise gift packs in the store. For example with Chanel, customers are most welcome to choose a fragrance, along with body lotion, luxury bath soap, body sprays etc. Our friendly staff are able to elegantly pack these for you. Check out the full range of Christmas options available in-store at John Anderson Pharmacy, 310-312 Wyndham Street, Shepparton or give the friendly team a call at 5821 2596.